Planning a fun Father’s Day Party for the special man (or men!) in your life? 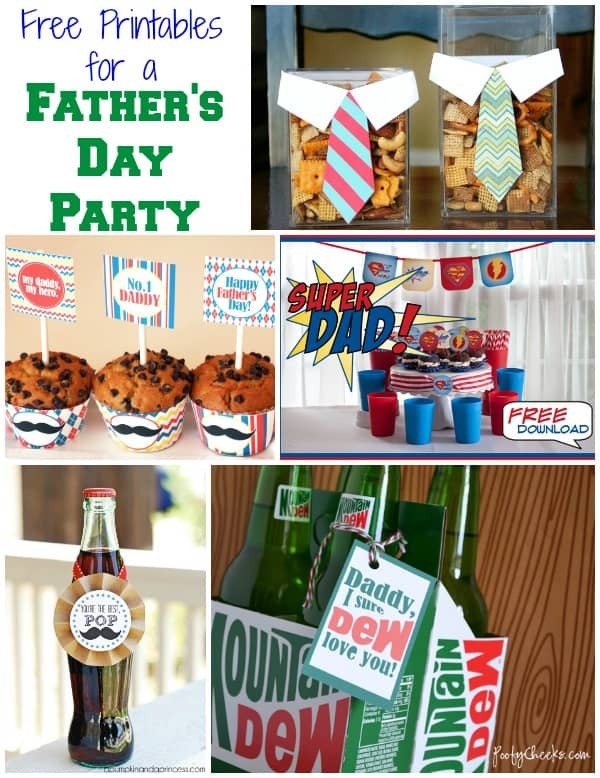 Then we have a special treat today that you are going to love – Free Father’s Day Party Printables! You’ll find several clever ideas here for planning a special celebration for Dad. This is a collection from other talented bloggers and designers. To access any of these free printables, simply click on the title of the printable and it will open in a new window for you. 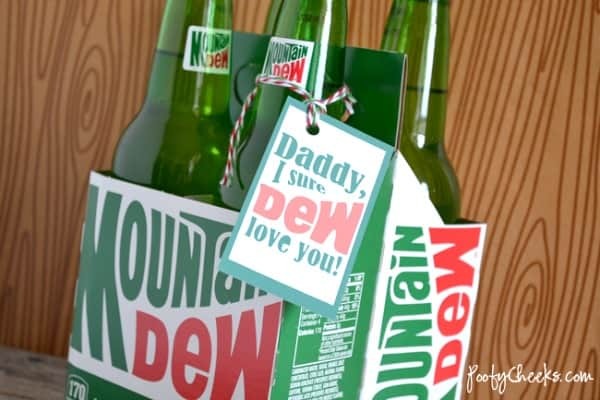 Daddy, I Sure Dew Love You tags (pictured above) by Poofy Cheeks are such a fun way to tell Dad how much he means to you. These could be paired up with some popcorn and a family movie night! 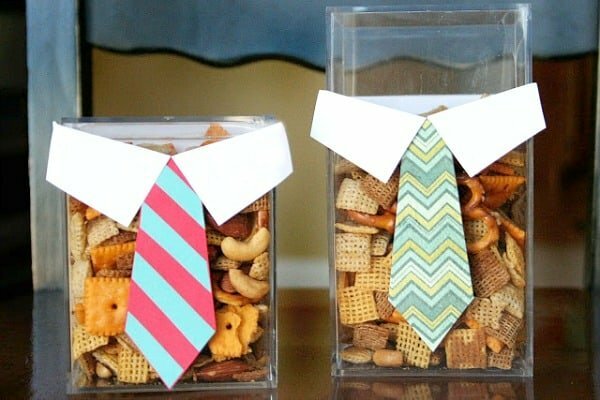 These Father’s Day Tie Boxes by eighteen25 are a creative way to dress up some snack containers for your Father’s Day Party. Simply put the free printables on some square or rectangle vases and fill them with Dad’s favorite snack foods. Is Dad a super hero in your child’s eyes? 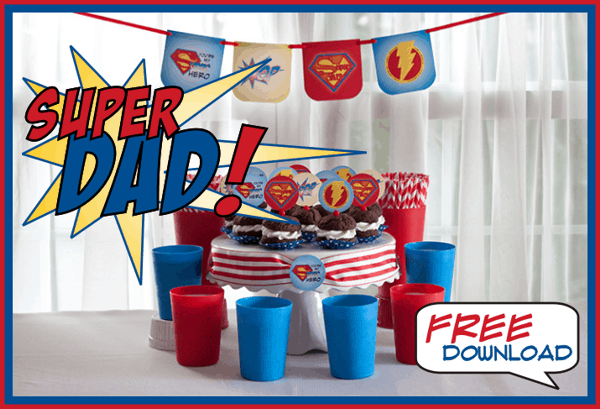 Then you’ll love these free Super Dad Party Printables by Oink! (The Blog of Piggy Bank Parties). I love the mini cape banner and all the fun ways you can use the printables – visit their site to see the entire package. 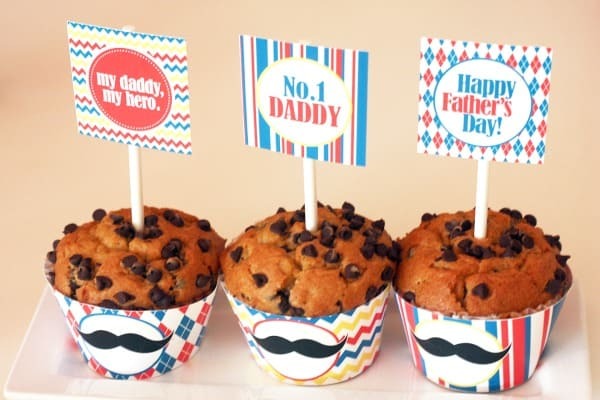 These Free Father’s Day Printables by Sarah Hope Designs as featured on Catch My Party include cupcake toppers, mustache photo booth props, mini flags for appetizers or straws, bottle wrappers, cupcake wrappers and more! Everything you need for decorating a little party for Dad. You’re The Best Pop tags by A Pumpkin & A Princess is another fun idea to pair up with popcorn and a family movie night. My husband sure loves soda so this would be great for him. 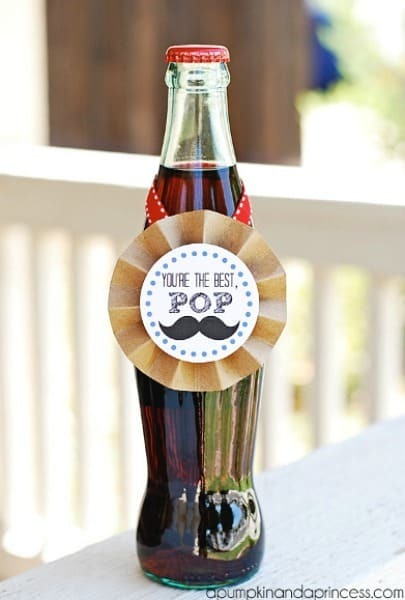 For even more fun ideas, free printables and more, visit our special Father’s Day page.